Business Model Innovation is on the agenda of many CEOs of incumbent organizations and in the DNA of countless insurgent start-ups. Yet, executives and entrepreneurs should already look beyond "mere" innovation towards managing business models. Staying ahead of competition requires more than an impressive one-time business model innovation stunt. It requires the careful evaluation and improvement of one's more established business model (cash cows), while proactively playing with a portfolio of new business models. 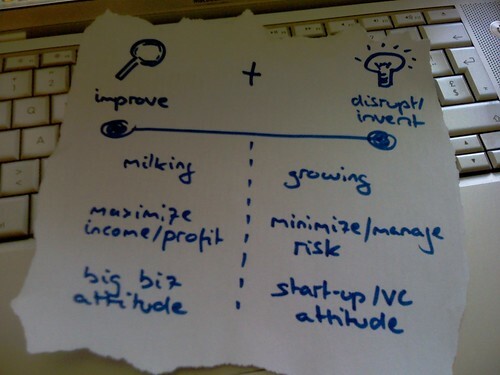 This can be presented as a spectrum ranging from "improving business models" to "disrupting/inventing business models". Improve: Continuously assess and improve your more established business models, notably through incremental innovation. Disrupt, Invent: Pro-actively develop and manage a portfolio of disruptive and entirely new business models that will allow you to maintain a competitive advantage in the future. In some cases these new business models may cannibalize your existing business model in others they may be complimentary. 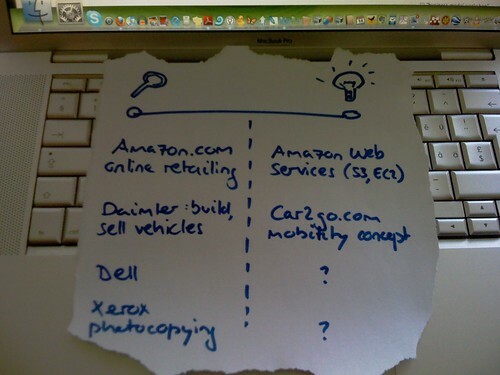 Some companies my prefer an acquisition rather than a development strategy of new business models. However, it still requires a deep understanding of the new and emerging models. Companies that have failed to manage the entire spectrum of business model management include Xerox who has popularized the dominating photocopying business model in the 60s (see Henry Chesbrough's work for details) or Dell, which has popularized direct sales of PCs through the web. Both have introduced new business models and come to dominate their field, but failed to reinvent themselves. 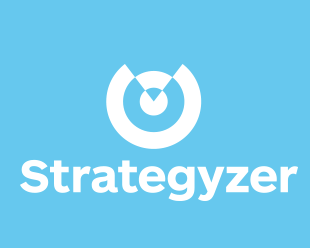 Companies that seem to be managing the entire spectrum of business model management include, for example, Amazon and Daimler. The former is constantly improving it's online retailing business, while building new business models with large growth potential (e.g. Amazon Web Services that allow renting storage space and computing power). The latter is improving it's core business (after some painful merger adventures), while exploring new complementary business models invented by it's Business Innovation Department. In 2009 that department experimented with Car2Go, an interesting mobility concept that allows people to rent and drop-off cars on the fly anywhere in a city. With this concept Daimler intends to exploit the continuing trend of urbanization and problems of congestion and individual transport.